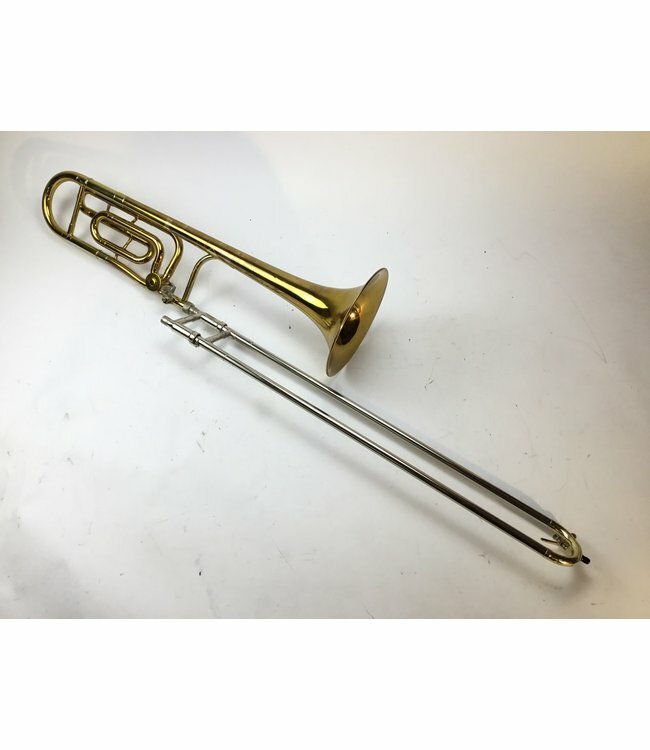 Used King 3BF “Concert” Bb/F Tenor Trombone in lacquer. .508” bore lightweight nickel silver hand slide, closed wrap rotor valve section, 8” bell flare. Instrument is in good condition apart from minor lacquer wear and scratching throughout, particularly at contact points. Very minor dings in hand slide bow and bell. Comes with King case with broken spring latches.